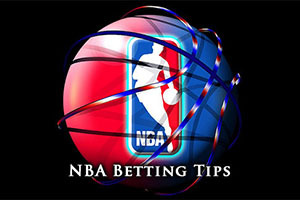 Spread Pick: San Antonio Spurs wins with handicap -8.5 at 1.90 Over/Under: Under 210 1.90 Bet Now! Sunday night in Los Angeles guarantees you a good evening out but for Lakers fans, good evenings out have been few and far between of late. The team is currently sitting with a 1-8 record, and facing a Golden State Warriors team that holds a 7-2 record in the 2014/15 NBA so far, you can see why there is not much hope for a home win. Klay Thompson was instrumental in the 127-104 Warriors win against the Lakers at the start of the month, he grabbed 41 points which is a career high for the player, and he will be a key player in this game. With many people predicting that Thompson is in line to grab the mantle of the best shooting guard in the league, there could be a ceremonial passing from Kobe Bryant, who has been held in high regard for so many years. Bryant has not yet been able to fire his team to form this campaign and while he has achieved some success, his shooting touch is not of the standard that it used to be. It is not as though Thompson is alone in his fine form though, Stephen Curry is another Warriors player playing superbly at the moment. The two players combined to achieve 40 points in the 112-87 win against the Hornets on Saturday. The Lakers went down to the Spurs on Friday night, although they will take comfort from the fact that it was their best defensive performance of the season so far. Kobe Bryant delivered 28 points on Friday but after the game he was the first to admit that he was far from his best and it may be that age is finally catching up with the player. With respect to injuries, the Lakers have a tougher time of it than the Warriors. David Lee is likely to be absent for Golden State but the Lakers have four injury concerns at the moment. Nick Young and Ryan Kelly are said to be out while Kobe Bryant and Ronnie Price are being monitored on a day to day basis and it may be that they are unavailable for this clash. Given that the Lakers are struggling badly this campaign, these absences would be a cruel blow to their hopes of turning things around in this match. It is hard to take anything other than a Warriors win in this match, and the spread bet is likely to be with them as well, and a double digits victory for the Warriors wouldn’t be a surprise in this match. This makes odds of 1.90 for the Warriors at -7 to be quite attractive. The Over/Under market is sitting at 1.90 for +/- 211 and going Over is likely to be a safe bet as both teams do have players that know how to grab points. Bet Now!